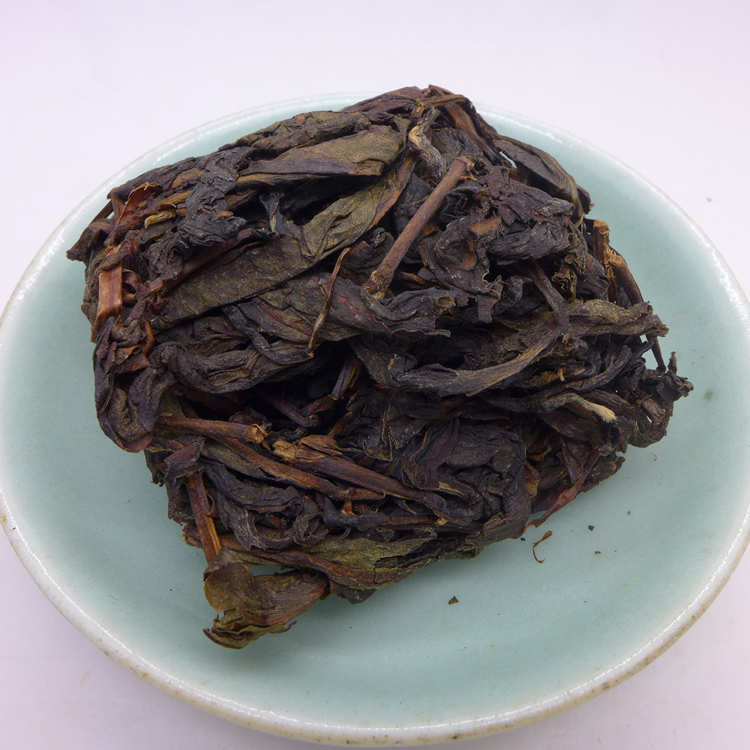 This great and rare oolong - Zhangping Shui Xian oolong, named after the fragrance similar with daffodil, created in 1914. 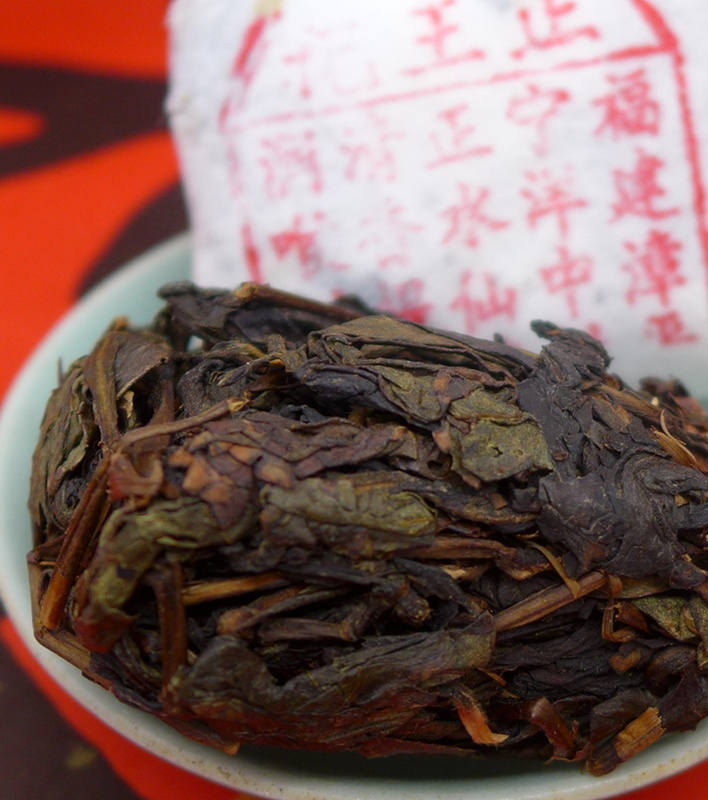 Zhangping is a famous place for Shui Xian oolong tea which is very different in manner and taste from Wuyi Shui Xian. the fermentation of Zhangping Shui Xian is lighter. 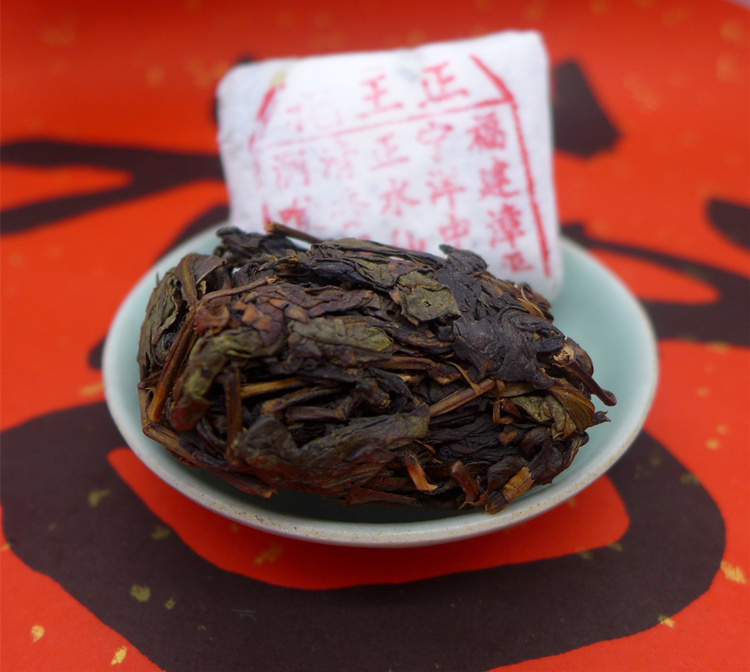 This great and rare Shui Xian oolong is made by traditional manner and press to small square cake about 18-19g. This is famous and traditional method which is specific to Zhangping. The highest quality tea leaves - picked two buds one leaf and two buds two leaves in spring 2009. The fermentation is medium and middle roasted. Fragrant infusion has a beautiful yellow-brown colour like honey, very smooth, sweet and little spicy with narcissus aroma. Traditional packaged printed with the words " Zheng Wang Ji Fujian Zhangpin authentic Shui Xian Cha Bing". This tea is very good for long term storage.